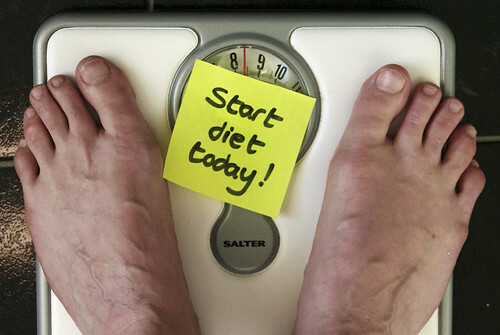 Losing weight is all about reducing caloric intake. You don’t have to break out the calculator and start examining labels to accomplish that goal. Simply reducing portion sizes will help you lose weight. Here are some tips to help you monitor and shrink the portion sizes with ease. It’s hard to serve up a massive portion if you’re using a tiny plate. Look for dining plates that are smaller, and use them with every meal. Empty space on a plate begs to be filled, but you can avoid the issue by choosing the right serving plates. Salads are delicious, nutritious, and filling. Low on calories, you should start a meal with salad so you won’t overindulge on the main courses. To reap the full benefits, include some protein with the salad. Some cubes of cheese or turkey will go a long way towards curbing your appetite. Family-style dinners with the food sitting on the table are nice, but they encourage you to reach for seconds and overeat. Leave the meal in the kitchen, so you will have to get up and walk if you want seconds. You can still go back for more if you’re hungry, but you won’t reach for seconds just because the food is there. Meat is traditionally the main dish, but it doesn’t have to be. Make the meat a side dish and move the focus to low-calorie vegetables, healthy brown rice, and salad. You will fill up on food that is high in fiber, lower in calories, and better for you. Store leftovers in one huge container and you will be tempted to serve yourself a large portion when you’re hungry. Divide leftovers into smaller portions when you store them. When you’re hungry, you can reach for the single serving and avoid the temptation to eat too much. When dining out, ask the waiter if you can get a lunch-size portion. It will cost a little less, and you won't be tempted with as much food. If they only offer one portion size, ask to have a take-out box brought along with the meal. Before you take a bite, put half the dinner in the carry-out box. You won’t eat as much at dinner, and you’ll have lunch for the next day. Save money and calories by embracing value menus. Purchase a combination meal at a fast food restaurant and you could easily consume more than 1,500 calories in the meal. However, you can save money and calories by buying off the value menu. Choose a wrap and a small side to control the meal portion and save money. Nothing encourages overindulgence like buffets. When deciding on a place to have dinner, do not choose the all-you-can-eat smorgasbord. Visit a nice restaurant and take part of your meal home for lunch the next day. Making little changes will help you cut calories and lose weight. You don’t have to carry around a chart and keep track of everything you consume. Limiting portion sizes will effectively cut calories and leave you feeling healthier. From dining out to making lunches at home and eating dinners, these easy tips will help you control your portion sizes.